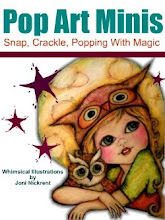 Pop Art Minis: Mr. Moon Shining Bright Won't You Be My Muse Tonight...M is for MOON! Mr. 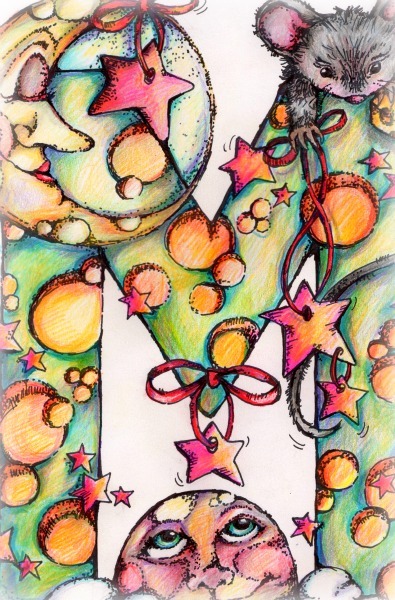 Moon Shining Bright Won't You Be My Muse Tonight...M is for MOON! With inspiration from Mr. 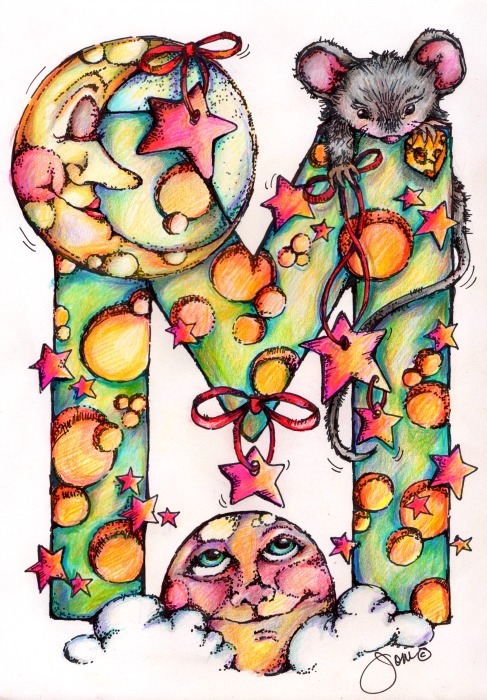 Moon I couldn't resist letter M for the next design in my A,B...Z Alphabet Series. Shining brightly in the sky a quarter moon, full moon and a little mouse guy! All hanging out on Letter M...my muse the moon...always happy to see him! 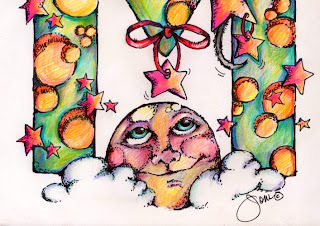 From pencil sketch to pops of color here's the stages of the moon...Pop Art Mini style...come gaze a while! I see the moon taking a nap. A little mouse with cheese, he'll be gone in a snap! I have to admit I'm definitely a moon lover! 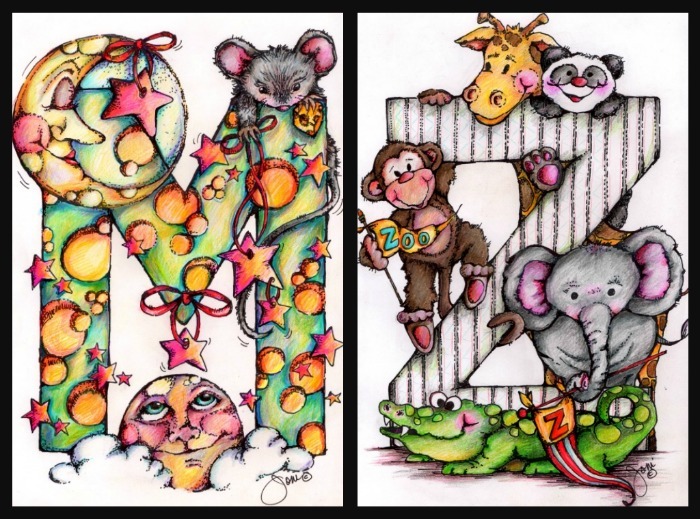 Letters M and Z complete...thinking letter J, will be my next feat! 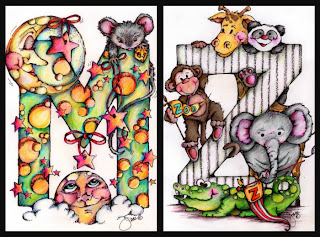 Letter J is for ???? Have an idea...let me hear you roar! Shared over at Sugar Bee Crafts Take A Look Tuesday! When I moved I wrote on all my boxes "J, for Jen or Junk"
Awww, your letters are so darn cute!! Glad you popped in so I could meet you and see your work. 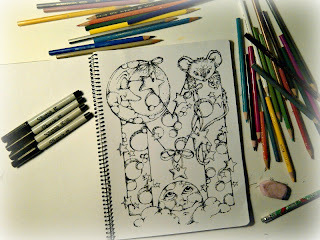 Have you seen Creative Tuesdays (http://goodteatoo.blogspot.com/)? It's a great place with lots of creative folks who would so enjoy the addition of your work. Much love!! 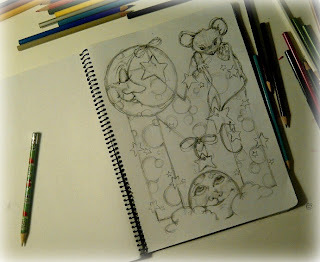 Thanks so much for popping by...i'll have to check out Creative Tuesday! There's so much to see on your blog! I love seeing how you go from sketch to final coloured image and I love your style. Thanks for visiting my blog. J is for Jaguar in Jeans! I love your M and your words that go with it are absolutely perfect! Hmmmm... J... Jump,Jumper, Jungle, Jubilation, Juicy Juice,Jupiter, Jack, Jack rabbit, jelly, jelly fish, jolly... just a few! What fun! I love your letters, so very clever. Oh please make some Pop Art Minis lunch notes! Your work is amazing!!! M and Z is amazing...ummm..i can't guess for mr. J...would love to know. oh my gosh these are beautiful,, what detail.J? 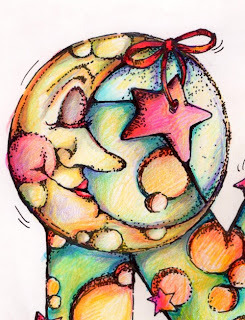 mmm, gotta have jelly beans in it,, with your love of color,, jackrabbit, doing jumping jacks while juggling jellybeans! just in time for the full moon too! Nice one. So cute! Love the moon and the little mouse! Hey Joni, thanks for stopping by the blog. 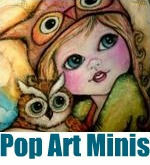 How cute are your mini pop arts! so detailed!